The official Wushu Shaolin Kung Fu Online Distance Education Course reference manual includes the five basic stances, Wushu stretch kicks, Wu Bu Quan 五步拳, 12 Tan Tui 十二路弹腿, Chuji Gun Shu 初级棍术, and Shuai Jiao 摔角(Chinese Wrestling). The purpose of Wushu Shaolin is to share the art of modern Wushu and traditional Shaolin Kung Fu. This curriculum is a collaborative effort by numerous Kung Fu teachers, schools, and organizations. It is our privilege to provide the martial arts community with the first volume of the most comprehensive Kung Fu encyclopedia published in America. 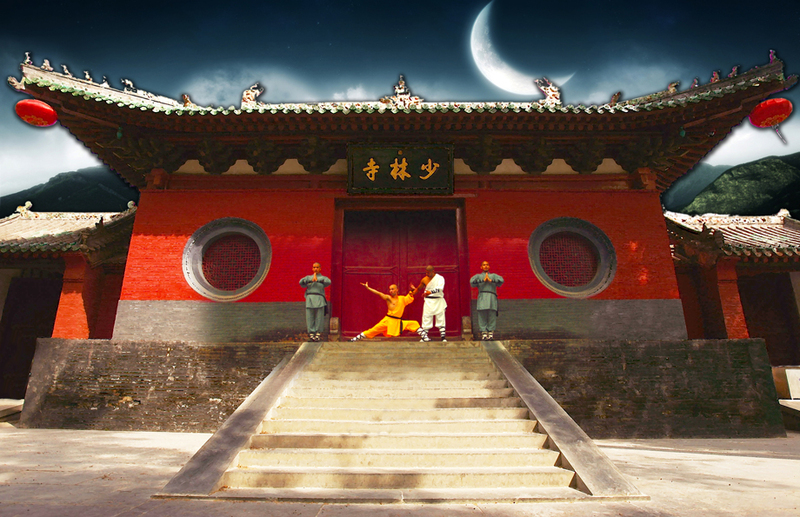 The Wushu Shaolin Kung Fu online distance education course for white belt features tutorials and instruction on the 5 basic martial arts stances, 4 basic Wushu stretch Kicks, and Wu Bu Quan 五步拳 also known as the Five Stance Form. The DVD Course also contains footage from actual Wushu Shaolin Kung Fu Examinations, highlights of the Berkeley Wushu Tournament "CMAT", and a sneak peak of upcoming projects. The Wushu Shaolin Kung Fu Online Distance Education Course - Yellow Belt features tutorials by Wushu Shaolin Members in Los Angeles, California. This instructional DVD Course, contains all of the movements necessary to learn the preliminary Shaolin Kung Fu Form known as Lian Huan Quan 连环拳. The DVD also contains highlights from the University of California Berkeley Wushu Tournament "CMAT", and a sneak peak of upcoming projects by Wushu Shaolin Entertainment. Students who complete the Yellow Belt level curriculum on this DVD may take the official Wushu Shaolin Examination online by visiting our website. Wushu Shaolin Kung Fu Yellow Belt is an invaluable reference manual that includes important Shaoln Kung Fu forms such as Ba Duan Jin 八段锦, Lian Huan Quan 连环拳, Lian Bu Quan 莲步拳, Yin Shou Gun 阴 手 棍, Tan Tui 弹腿, and Elementary Dao Shu 初级刀术. If you enjoyed the first volume of Wushu Shaolin you will definitely enjoy this one as well. The Wushu Shaolin Kung Fu Online Distance Education Course is a revolutionary new program allowing anyone in the world who has access to the internet to become an official student of our school by learning from home. The program is available on DVD, Download on demand, or streaming though our website. Students can earn an official Black Belt Level Certificate in Wushu , Shaolin Kung Fu, Weapons, Tai Chi, and other forms of Chinese Martial Arts.The Wushu Shaolin Kung Fu Online Distance Education Course was created for students across the globe who are interested in learning martial arts from home. To Join the Wushu Shaolin Kung Fu Online Distance Education Course, It may take up to 38 hours to process. For immediate support, please call (310) 720 6452 USA headquarters. Wushu Shaolin Entertainment is world renowned for producing Chinese Cultural showcases featuring the most creative cultural artisans in the industry. The company has produced shows in Saudi Arabia, Qatar, Dubai, and throughout the United States of America. The presentations are renowned for inspiring men, women, and children of all origin and creed. Our shows may require months of preparation, combining music, dance, wushu, and elaborate Chinese cultural costumes. Our performers include stunning Chinese Wushu athletes, actual Shaolin Kung Fu Warrior Monks, black belt martial art specialists, and industry standard Lion Dance - Dragon Dance proffesionals. China Gold is is an extraordinary visual spectacle featuring highly talented Chinese cultural artisans. Among the awe inspiring artistry, this stunning showcase may include a compelling Dragon Dance presentation, Lion Dance performance, Wushu Shaolin Kung Fu high flying Acrobatics, and several sensational Chinese female dancers. China Gold is a sheer spectacle sure to captivate any audience. A similar presentation was recently featured on television, reaching a projected estimate of 1.7 billion views internationally. We provide clients with the most professional demonstration troupe available. For international clients interested in booking a Shaolin Warriors Live Showcase, Lion Dance, or Dragon Dance performance, please contact Wushu Shaolin Entertainment today. Julian Remo Perretta born on January 13th of 1989 is an English artist, best known for his songs Miracle and Wonder Why. Perretta was born in London to an Italian father and an Irish mother. He released a single from his second album Karma on November 13th of 2015 entitled Miracle and the song became his biggest solo hit to date, selling over 1.2 million copies and reaching number one in 14 countries.